This tutorial will explain How to redistribute routes in the configured OSPF area in Screenos (Juniper Firewall). 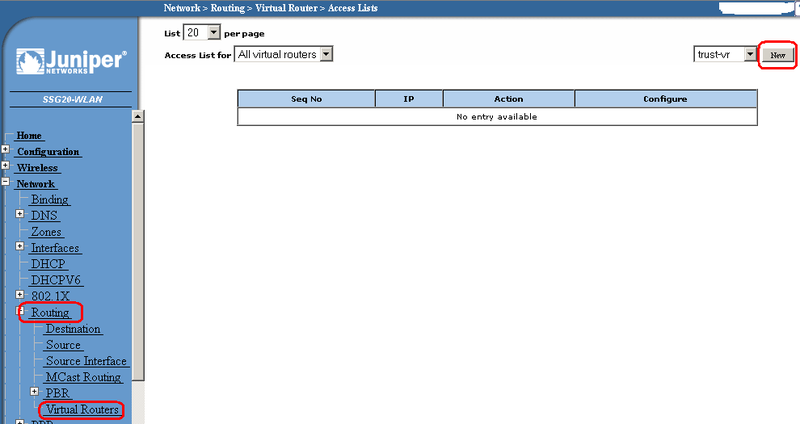 Go to Network > Routing > Virtual Router > Access Lists. 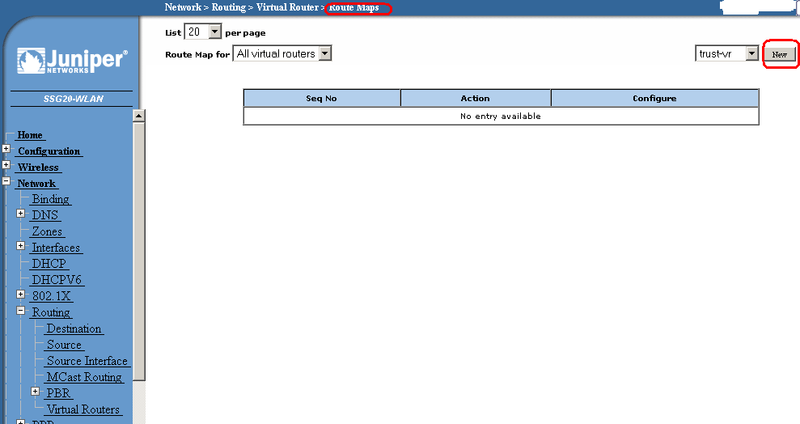 Go to Network > Routing > Virtual Router > Route Maps. Go to Network > Routing > Virtual Router (OSPF)>Redistribution Rules and select the source protocol, from which the routes will be re-distributed to OSPF. Redistribute the 192.168.1.0/24 network to the 0 OSPF area. OSPF has to be correctly configured, prior to configuring the route export. 192.168.1.0/24 is the route import from the trust-vr; so, the protocol type is imported. Other protocol types include BGP, connected, and static.